New York Public School 194 celebrated the 25th anniversary of its naming as The Raoul Wallenberg School with a hour long chorus performance on May 16th, 2007. Hundreds of students, parents, alumni and educators were present at the moving ceremony. 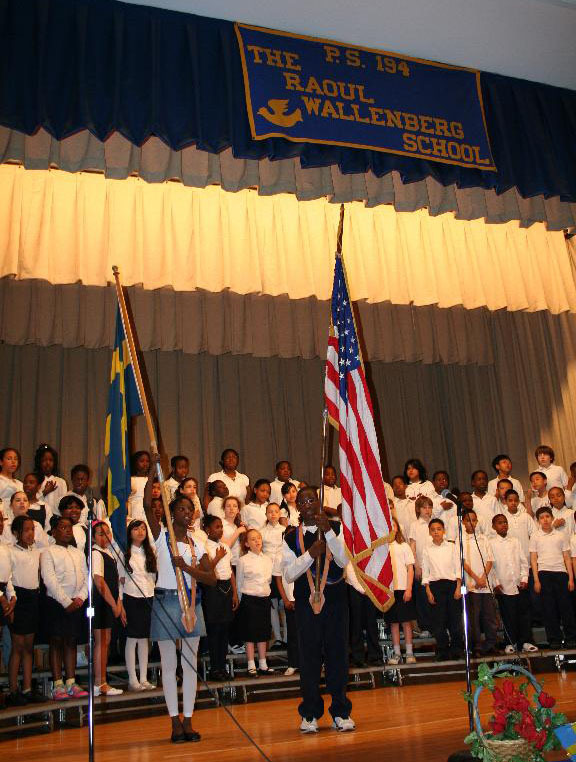 Ms. Lynch, principal of the Raoul Wallenberg School, opened the assembly by narrating the story behind the naming of the school and the selection of Raoul Wallenberg as its name. She highlighted the Swedish diplomat’s values and humanitarianism as concepts worth passing upon a young generation of students. Ms. Abigail Tenembaum, Vice President of the International Wallenberg Foundation, brought up an analogy between super heroes such as Spider Man and real heroes like Raoul Wallenberg. Ms. Agnes Adachi, who was saved by Raoul Wallenberg and helped him in the rescue of other persecuted people, was also present and shared her stories with the audience. Congressman Anthony D. Weiner sent a representative to say a few words on his behalf and express his admiration for the school’s work. 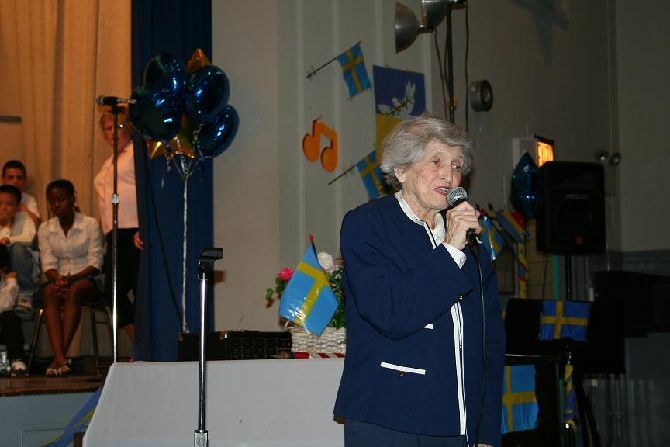 The performance included a song about Raoul Wallenberg composed by Marian Levy and other pieces that reflect Wallenberg’s legacy and traditions. 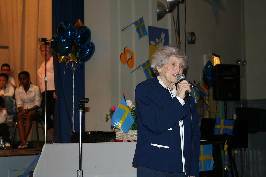 The Swedish diplomat’s story was recited between songs by the students.